and happiness of all mankind. preference with unorthodox ideas, and promptly observing and anticipating customer needs in products. 308, Yeongdong-daero, Gangnam-gu, Seoul 06177, Republic of Korea. 49, Heungan-daero 395beon-gil, Dongan-gu, Anyang-si, Gyeonggi-do 14060, Republic of Korea. Ottogi Research Institute is a state-of-the-art laboratory providing the upmost research environment with its cutting-edge information facilities, knowledge archive of over 5,000 specialized books, emulsion and homogenization facilities, retort fertilizers and others. 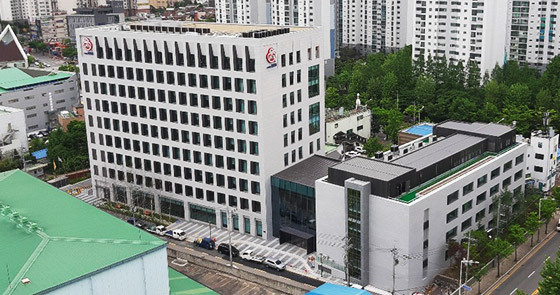 The center is internationally recognized as official test and inspection facility, by attaining its KOLAS (Korea Laboratory Accreditation Scheme) accreditation. 128, Daepungsandan-ro, Daepung-ri, Daeso-myeon, Eumseong-gun, Chungcheongbuk-do 27670, Republic of Korea. Daepoong Factory is a 21st century type factory, adequate for HACCP. Its production and logistic line layout provides total efficiency, and the plant materializes high-tech production systems through a fully automated management system. 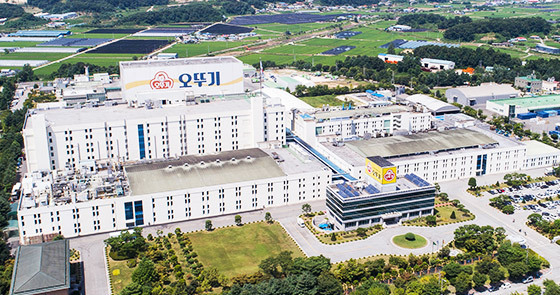 Daepoong Plant was commissioned on August 30th, 2001 on a land area of 104,853.1m2 with a building area of 26,914.0m2, and is currently producing ketchup, mayonnaise, 3 Minute Meals, rice and cooked rice products. This 21st century, HACCP compliant factory facilitates a color code for hygienic levels: blue for general areas; red for semi-clean areas; and green for clean areas, for effective and stringent isolation and management. Moreover, air-tight facility with now windows, and dust-free floors with no sills are embedded in the construction design to prevent any dust accumulating within the factory. 405, Heungan-daero, Dongan-gu, Anyang-si, Gyeonggi-do 14060, Republic of Korea. Anyang Factory is the Mecca of production, and produces number one products in terms of market share and quality such as oil and fat products, jam, and retort foods. Anyang Factory was first commissioned in June 1972, at its current location as a curry production facility. Throughout its history and numbers of expansions, Anyang Factory currently produces over 500 products. 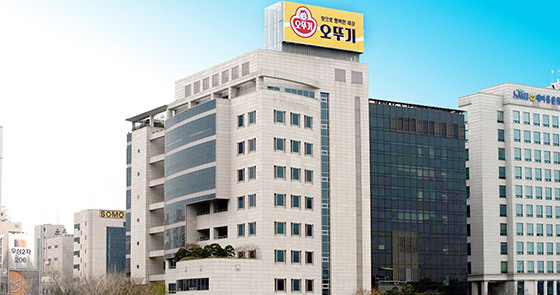 The majority of products shipped from Anyang Factory are the number one products in terms of market share and quality, and its employees form a unique organism operating on a single goal, to achieve the best possible quality. Diverse activities such as task distribution, 5S practice, TPM process, zero down-time programs, zero claim programs, zero occupational accidents programs are instituted to improve the process and achieve the best possible quality. 149, Bangudae-ro, Banggi-ri, Samnam-myeon, Ulju-gun, Ulsan 44953, Republic of Korea. 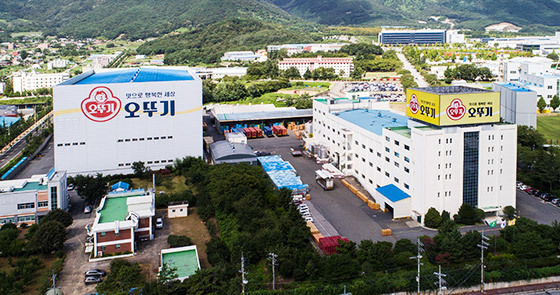 Samnam Factory is the logistic hub in the South-East region and the depot of exported products, producing ketchup, mayonnaise, vinegar and other products. 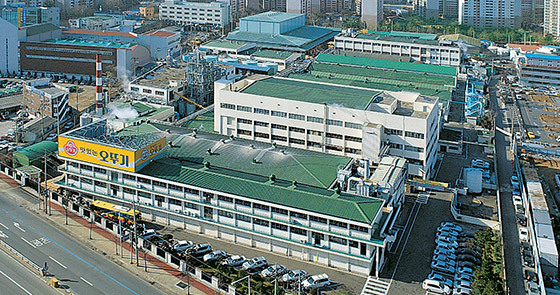 Samnam Factory was commissioned as a 4-story building in July 1992, on a land area of 19,647m2 with a building area of 13,630m2. It currently produces ketchup, mayonnaise, vinegar and cooking syrups. Samnam Factory is equipped with cutting-edge production machines to maximize productivity, and is sharing the production load of major products with Anyang Factory. It also bears the responsibility as the logistic hub in the South-East region, efficiently supporting the regional sales of our products. In response to the recently vitalizing Russian market, Samnam Factory is now evolving into the outpost of export. Adress 405, Heungan-daero, Dongan-gu, Anyang-si, Gyeonggi-do 14060, Republic of Korea.